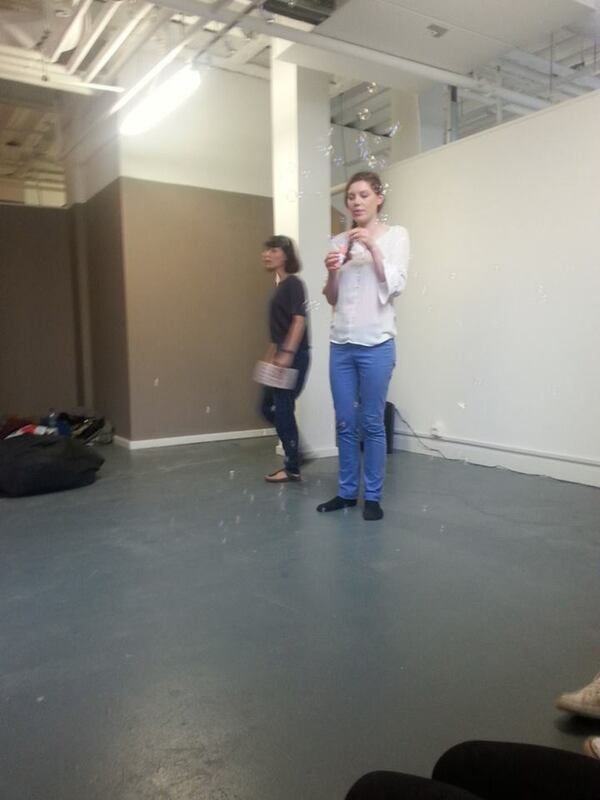 Yesterday our show took part in somewhereto_’s re:store project‪ #‎highstreetheist in the great city of Manchester. Despite the logistical difficulties of getting a massive bear head, a teeny tiny red piano and various other necessary items on the train to and from the location, it was a fantastic day. Instead of showing the entire play we performed a few scenes (including Ted and Klara’s circus ceremony and the stripping ‘soleil-ing’ doctors) and our director, Max, read out a beautiful story about circus bears from Mick Jackson’s ‘Bears of England’ which correlated perfectly with our own story about an escaped circus bear. Anna and I also did a brilliant job of prowling about the stage as the bear’s puppeteers if I do say so myself. Though our audience only consisted of about 10-15 people I think it is safe to say we have guaranteed a few more seats filled at the Fringe. Overall, the bare project experienced a productive and fun-filled day.